The history of Dutch outfit Callenish Circle can be traced back to 1992. Patrick Savelkoul and Jos Evers formed the band in Sittard-Geleen, Holland as the more straightforward death metal oriented Genocide. Under that name the band honed its chops by playing cover songs of Death, Bolt Thrower, Pestilence and early Paradise Lost. It wouldn’t be until 1994, with the joining of guitarist Ronny Tyssen and drummer Gavin Harte, that the band became Callenish Circle. Its new moniker in all probability referred to the megalithic Callanish Stones on the Isle Of Lewis, Scotland. In 1995 they released the “Loverlorn” demo tape that would go on to sell an impressive 1,000 copies across the world. This in turn led to a recording contract with the then relatively young Dutch label imprint Hammerheart Records. The often ignored, and little heard, debut album of Dutch melodic death metal unit Callenish Circle is a potentially interesting album marred by a subpar production. “Drift Of Empathy” sounds a lot like “The Dance Of December Souls” Katatonia mixed with the structural melody of early Gothenburg death metal in the tradition of early In Flames, Dark Tranquillity, and the likes with a hefty dose of technical death metal alike to genre pioneers Death, and post-“Consuming Impulse” Pestilence thrown in for good measure. In a lot of ways it is a more technical take on the sound that The Gathering was pushing its debut album “Always”. The somewhat odd hybrid of various older death metals styles along with the infusion of romantic, somewhat British sounding, doom metal makes “Drift Of Empathy” a difficult record to fully grasp because of its myriad nuances and subtleties. The album had the misfortune of arriving in the second half of the 1990s at the height of the symfo black metal boom, the groove metal craze – and around the time the death metal genre was undergoing an increase in speed, technicality and density. There are some commonalities with “Riding Our Black Oceans” from Mexican death metal stalwarts Cenotaph. Unlike that album squarely aimed for an abstract, somewhat technical take on the Gothenburg genre, Callenish Circle quite masterfully combines several genres without ever sounding incoherent. Some of its more melodic - and atmospheric inclinations would later serve as an inspiration for Canadian one-man death metal colossus Darkness Eternal and its “Dawn Of the Suffering” debut. On “Drift Of Empathy” Callenish Circle has a good grasp on what it intends to convey with its songs. Both songs and album are wonderfully paced with contrasting atmospheres, and alternating heavy and destitute passages. While there are minor influences from the doom metal genre, Callenish Circle are a death metal band first and formost. What the band lacks in straightforward aggression it makes up in highly structured, and atmospherically rich death metal that is melodic and technical in equal measure. The record exudes a sense of forlorn romance due to its prominent usage of piano, organs and bathes in an aura of melancholy. This, in part, ties it to similar releases of the day, such as On Thorns I Lay’s “Orama” album. Especially in tracks such as ‘Slough Of Despond’. Savelkoul uses an array of vocals including grunts, screams, whispers and narrative cadences. Most of these vocal styles are quite successful with exception of the grunt, which would have been far more monstrous and booming weren’t it for the functional but somewhat thin production. ‘Solitude’ not only sounds like a discarded At the Gates song circa “The Red in the Sky Is Ours”, but it also has funky bass licks that add considerably to its body. Both ‘Slough Of Despond’ and ‘Disguised Ignorance’ were re-recorded tracks from the band’s 1995 “Lovelorn” demo tape. On top of that it is an unmistakeable fact that “Drift Of Empathy” looks anything like your typical 90s death metal record from a visual standpoint. The elaborate artwork, created by drummer Gavin Harte, is quite artful with its typesetting and general composition. “Drift Of Empathy” was recorded in April 1996 at Beauford Studios, Holland with Han Swagerman producing. The choice of recording studio and producer is obvious given the nature of Callenish Circle’s music, but also robs it of much of its power. That isn’t to say that the choice of Swagerman as a producer wasn’t the most logical one at the time. During the 1980s and early 90s Swagerman was part of Delirium, and later Evisceration. These two formative Dutch death/doom metal combos were instrumental in the creation of the death/doom metal subgenre, along with the likes of the shortlived Necro Schizma, the Dead Head related Beyond Belief and cult act Sempiternal Deathreign. The latter even predating genre pillar Asphyx by a single year. It was during his tenure with Delirium that Swagerman opened the first incarnation of his now famed Beaufort Studio. The first product of his Beaufort Studio facility was Delirium’s 1988 self-titled demo tape. However had Callenish Circle’s debut effort been cut at the more popular Excess Studio, Franky’s Recording Kitchen, R.S. 29, or Stonesound Studios instead it would no doubt have benefitted from a far meatier, bass-heavier and more concrete production. The album was released through Dutch metal specialist label imprint Hammerheart Records in 1996. 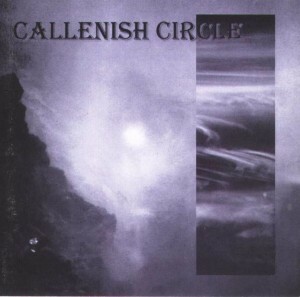 Callenish Circle had the misfortune of its debut album being released at the advent of the melodic Swedish death metal explosion. As a result “Drift Of Empathy” was overlooked for lesser talented bands whose records were easier to market to a receptive audience. It was reissued as part of the double-disc “Forbidden Empathy” compilation in 2004. After “Drift Of Empathy” Callenish Circle would reinvent itself as a more easily marketable, stock sounding melodic death metal band. Of the four albums they would release after the stylistic change three would be issued through famous American label imprint Metal Blade Records. On “Drift Of Empathy” Callenish Circle was highly unique sounding, and not afraid to take artistic risks. Sadly all these rough edges would sanded off as the band won traction within the industry. This debut was a product of its time, and in various points ahead of its time. It’s unfortunate that many write this album off solely on the basis of its bare-bones production and lack of punch.